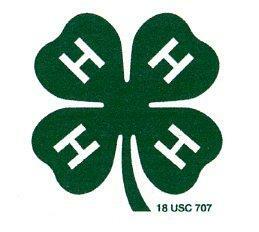 Since 4-H began more than 110 years ago, it has become the nation’s largest youth development organization. The 4-H idea is simple: help young people and their families gain the skills needed to be proactive forces in their communities and develop ideas for a more innovative economy. 4-H opened the door for young people to learn leadership skills and revolutionized how youth connected to practical, hands-on learning experiences outside the classroom. by the University of California Cooperative Extension. 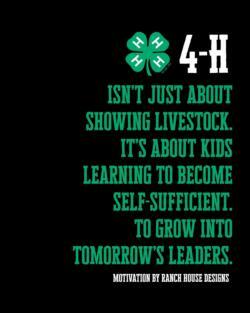 The purpose of 4-H Youth Development is to help diverse young people discover and develop their potential and grow into competent, contributing, and caring citizens. Learn by doing activities, youth-adult partnerships, and research-based educational programs help young people enhance their leadership abilities and develop a wide range of other life skills. The San Benito County 4-H program is a part of the University of California Division of Agriculture and Natural Resources (UC ANR), a statewide network of the University of California. UC ANR researchers and educators are dedicated to the creation, development and application of knowledge in agricultural, natural and human resource. Led by research-driven programming from UC ANR, 4-H is a youth development organization for youth ages 5-19 that promotes hands-on, experiential learning. Youth members and adult volunteers from all backgrounds and locations in California are welcome. 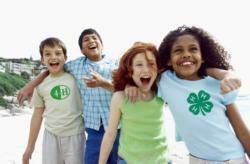 Members have the opportunity to participate in the 4-H program through community clubs, camps, events and conferences.